Once upon a time I was doing an engagement photo shoot. We were walking around this little “faux” town that is near where I live. We were dodging another photographer so that we didn’t photobomb them and they didn’t photobomb us (although I’m not so sure they were being so decent). There was a dog that ran up to us eating a dead chicken. Yuck! It stunk! So we were avoiding the dog and the dead chicken too, just so we didn’t have nasty things in the photos. 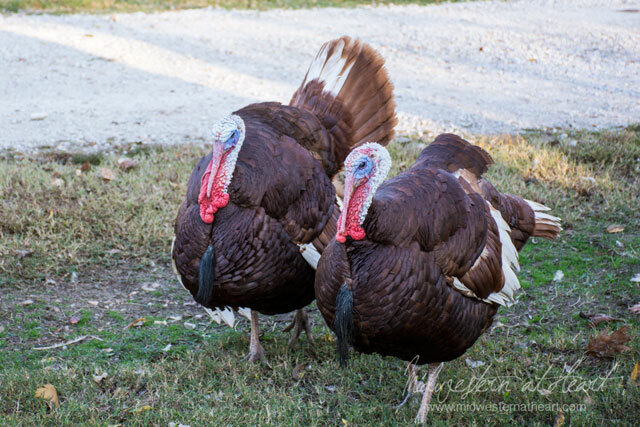 At first we were talking to the turkeys, then they started gobbling at us and coming at us. We all wound up on the other side of a rock fence. We found a new way around the rock fence and they were still coming at us so we moved on. And that is the story of how I was chased by a turkey. Maybe not so scary, but we weren’t sure what the turkey’s might do to us in the moment. I can now cross off being chased by a turkey on my life’s list as well as being flocked by a goose. I’m on a roll! By the way, Did I ever tell you I was flocked by a goose? ← Halloween & Pumpkin Carving… Not in that order….